A popular teacher who disappeared after a night of partying more than two weeks ago was seen driving alone away from a bar on surveillance footage that New Orleans police found. Witnesses said they last saw Terrilyn Monette around 4 a.m. on March 2, in a parking lot talking to a man near the bar where she'd been celebrating her nomination for a teacher of the year award in her district. By daybreak, she and her black 2012 Honda Accord were gone. The trail had gone cold until the Times-Picayune reported that New Orleans police found several stoplight cameras and security cameras on homes and businesses that show the 26-year-old at the wheel of her car around 5:15 a.m. the day she vanished. Footage shows her driving near City Park -- where volunteers have searched for her -- but her car is quickly lost again, according to WWLTV. EquuSearch, which specializes in looking for missing people, will use sonar equipment to explore waterways near the park, WDAM said. Monette moved from Long Beach, Calif., to teach second grade at Woodland West Elementary School through the city's "Teach NOLA" program, which sends new teachers into troubled schools. She's credited with boosting academic achievement in her class in her first year, according to CNN. Monette is 5 feet 8 inches tall, weighs about 180 pounds and has long brown hair. On the night she vanished, she wore a pink and yellow sweater and jeans. Her left leg is tattooed. Monette's car has Louisiana license plate WUN494. 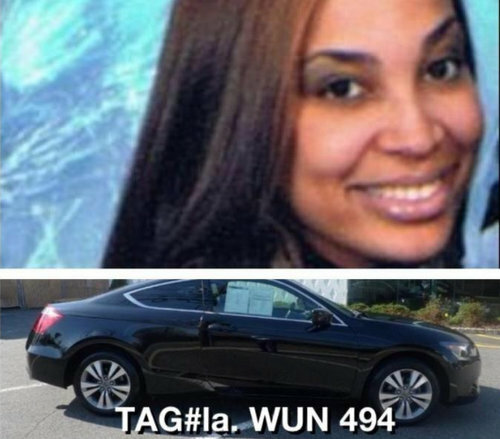 There's a $3,500 reward available from Crime Stoppers for information that points to her discovery, WDSU reported. If you have seen Monette or have any information, please call the New Orleans Police Department at (504) 821-2222.